I staged this picture specifically so you can see the screens, but they’re not generally this visible. 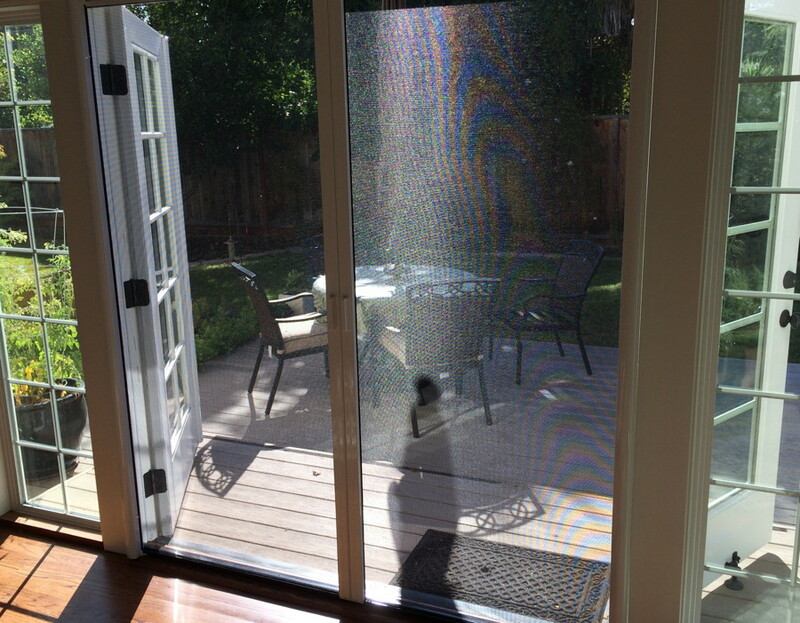 We bought the screens through ClearView of San Mateo after seeing them at the Mountain View A La Carte & Art fair this spring, and getting them ordered and installed was quite straightforward. Installation took a few hours, but really there was nothing (including the price) which was beyond what we expected. We were also quite happy with how well the frame blended in with the door trim, including the dark brown bottom rail which works quite well with our wood flooring. We bought a few upgrades, such as low-profile handles, magnets inside the doors, and locks to hold one of the doors in place. We’d been thinking about doing this since we first moved in, and it’s great to knock down another long-standing home improvement domino.